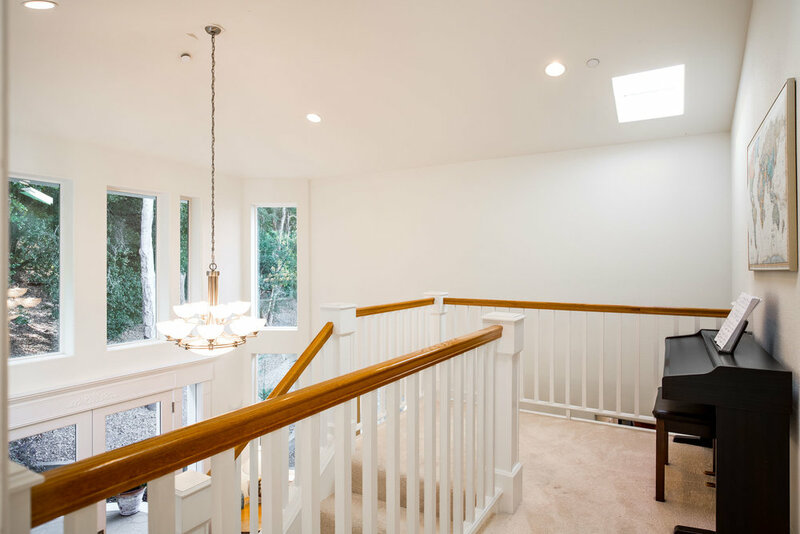 Fall in love with this peaceful, turnkey home on a private road in a quiet corner of Aptos. 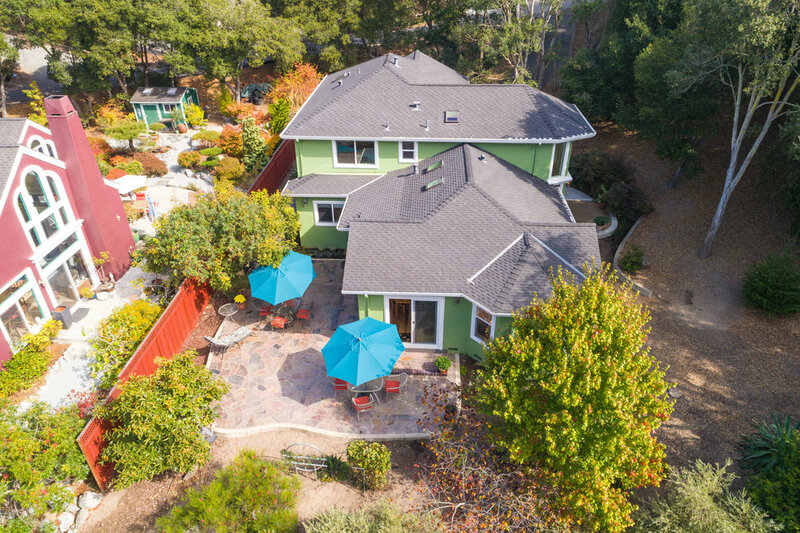 Just a stone's throw from HWY1, Aptos Village, Seascape Golf Course and endless walking beaches! 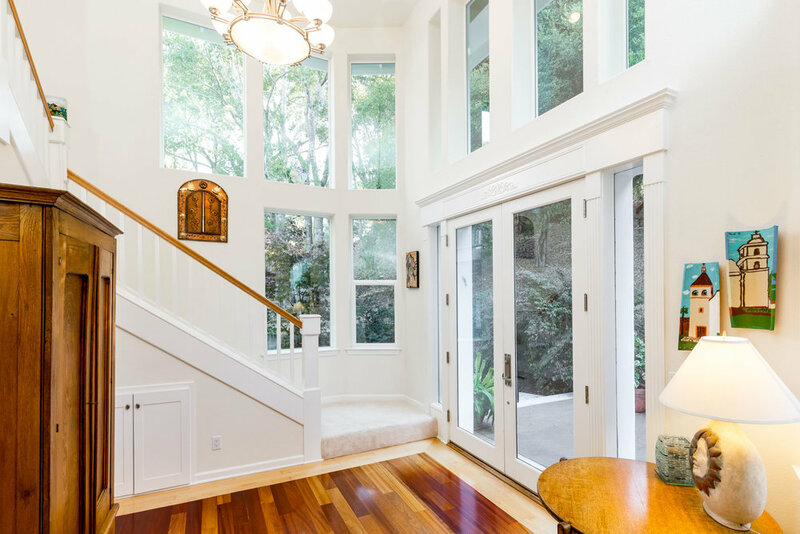 Natural light illuminates all the living spaces while the high ceilings and expansive windows showcase the home's natural setting among oak trees. An extremely private and quiet location, this neighborhood is known for its pride of ownership and tranquility. Generous square footage affords an expansive chef's kitchen with designer granite counter tops, island, stainless appliances and solid wood cabinetry. The open floor plan encompasses the kitchen, informal dining area and living room with gas-insert fireplace and sitting area. A sunny patio off the living area provides flexible indoor/outdoor space, great for entertaining. The formal dining area can also be used as a family room or office. The large, private master bedroom features a cozy bay window and a personal balcony, perfect for gazing out at nature as you greet the morning. The master bathroom features a sunken jacuzzi tub, double vanity and tiled shower stall. Downstairs bedroom and full bathroom afford this home the ability to live on a single level. Full two-car garage and laundry room with sink and storage allows for comfortable day-to-day living. Come explore this hidden gem!